As you all (SSC CGL 2017 Aspirants) know that SSC CGL 2017 Tier-1 has a few surprises. 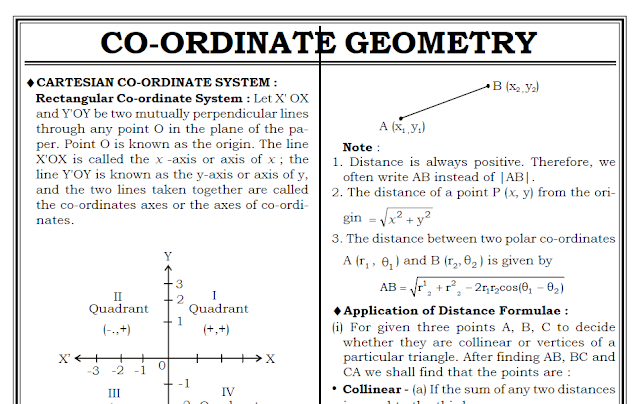 In the first few days SSC dint asked any questions from Coordinate geometry and now SSC is asking even 3 questions in SSC CGL 2017. In this post we are sharing short notes on coordinate geometry for quick revision of this topic. This notes is forwarded to Qmaths by a very helpful soul who does not wants his name to be published. You may download it from the link provided below.